Choose your venue for prices, availability and bookings. Welcome to the world's first indoor trampoline park. Looking for hundreds of trampolines, all connected, that literally allow you to jump off the walls? Look no further. We’re also the freedom of flight. We’re exhilaration. We’re accidental exercise. Flukey fitness. Sneaky sweat. We’re doing the stuff we’re meant to do to stay healthy and active… without the boring bit. We’re the right place to lose control. We’re a place to tell the world to go jump. 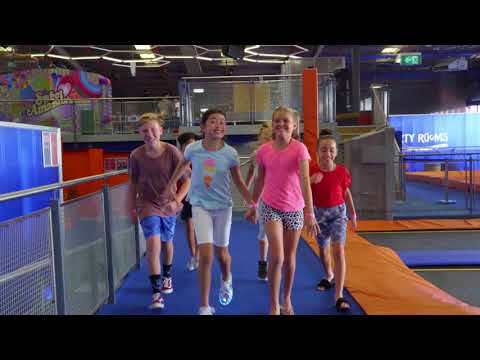 Love Sky Zone? Want to hear about the latest offers and updates? Follow us for your daily Sky Zone fix. Sign up to the Sky Zone mailing list to receive the latest specials and promotions.